Peter Liem: Today there are a handful of wines from elite, artisanal grower-estates in Champagne that have attracted a nearly cult-like following. One of the most sought-after of these is the meunier of Jérôme Prévost. 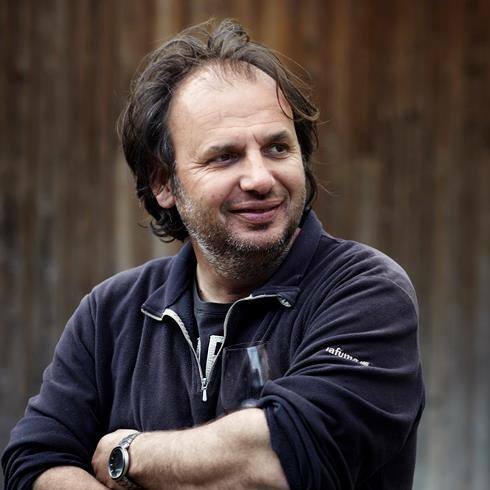 Prévost established his La Closerie estate in 1987, when he inherited a parcel of vines from his grandmother, who had previously been renting out her vineyard rather than cultivating it herself. Prévost began to work these vines, selling his grapes to the négoce, but in the 1998 vintage, his friendAnselme Selosse convinced him to start producing his own wine. As Prévost had no cellars of his own, Selosse offered to share a corner of his cellars in Avize: Prévost made all of his wines there until the 2002 vintage, which was vinified in his new cellars in Gueux but later bottled in Avize. Since 2003, all of the production has taken place in Gueux. In addition to this wine, however, Prévost has allowed himself to experiment a little bit. In the 2000 vintage, he produced a second champagne called “Une fois pour tout”: essentially, this was the same wine as the standard Les Béguines except that it was aged in barrel for an additional year before bottling. The intention was not at all to create a super-cuvée or a wine that was “better” than his existing one, and this was clearly reflected in the fact that he sold Une fois pour tout for just one euro more than the regular bottling. Prévost himself is still slightly amused when a customer proclaims one of these wines to be markedly better than the other, and notes that their difference is not necessarily one of quality, only character. He repeated this experiment in 2003 with a wine called “d’Ailleurs”, and like Une fois pour tout, it was made from a random selection of barrels and bottled one year later than the standard Les Béguines, in July of 2005. The next edition of this extended élevagechampagne will be from the 2012 vintage.